Maricopa has the water to grow, but it also has a plan. “Maricopa has had tremendous growth in its early incorporation,” said Kazi Haque, Maricopa’s assistant director of Development Services. Haque said one of the big hurdles the city has to jump is the flood plain, as it is holding up the construction of 2,000 to 3,000 homes that have been approved. The proposed homes sit in the flood plain. Transportation corridors are another big concern highlighted in the city’s planning. Once the city has a vision it is written into the general plan. “It gives everybody a blueprint of our physical development for the next 15-20 years,” he said. “These are state-required policies that we have to maintain. Every city and town of a general population has to have a plan,” Haque said. He said the general plan is the only governing document that must be approved by the voters of a community. 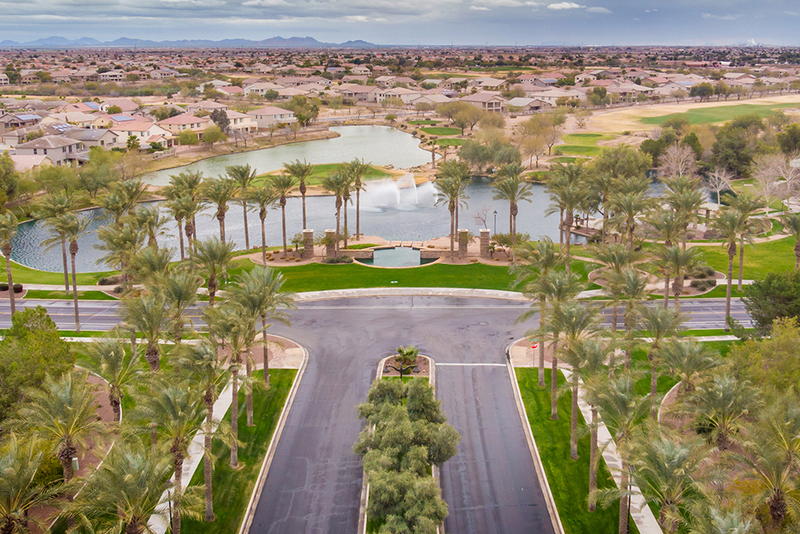 One advantage of Maricopa being such a young city compared to most in Arizona is that the infrastructure is new and built with technology and the future in mind. “When you can develop things from the start that are more efficient, you have a much more sustainable city,” said Wolfe. Haque said planned growth is also more sustainable because a city can provide infrastructure like water more effectively when growth happens in an area, not “leap-frogging” around the city. Haque said Maricopa is one of the last areas around Phoenix that has large tracts of land available. Though Arizona remains in a long-term drought that has lasted more than 20 years, an assured water supply in Maricopa has prevented the serious concern its possible depletion has caused in the rest of the state. As a result, Haque said Maricopa has “great potential” for growth. The city’s planning area actually covers 270 square miles. In all, the city has the potential to add up to 250,000 residential homes if it actually builds out its planning area. The city’s planning area goes as far south as Interstate 8. Haque said planning for inside the city’s boundaries is one thing, but there are variables the city can’t control, namely road construction that connects Maricopa with the outside world. Maricopa may plan their city, but they don’t own the roads leading to Phoenix, Chandler and Casa Grande. Wolfe said the City of Maricopa is working with its partners, the state of Arizona and the Gila River Indian Community to make needed improvements take place. “If you get 160,000 people here by 2050, you have to make sure they can access other areas,” Wolfe said.